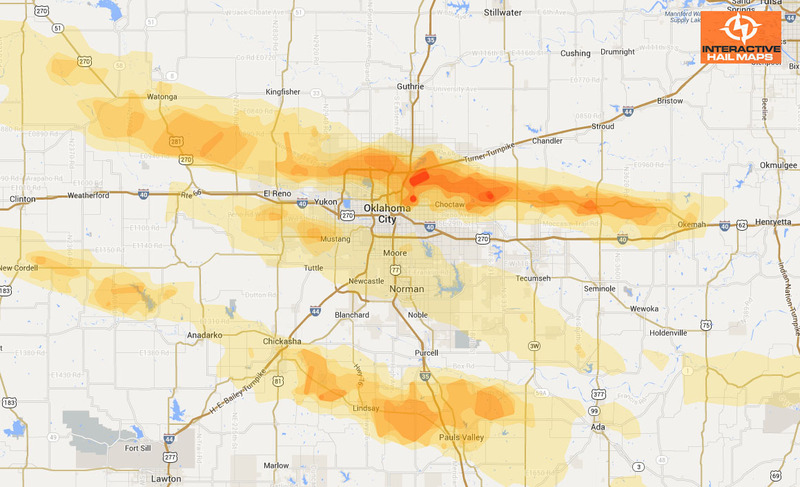 See the hail map for the hail storm that hit Wichita Kansas. The storm went from one side of Wichita to the other with mostly golfball size hail reported. 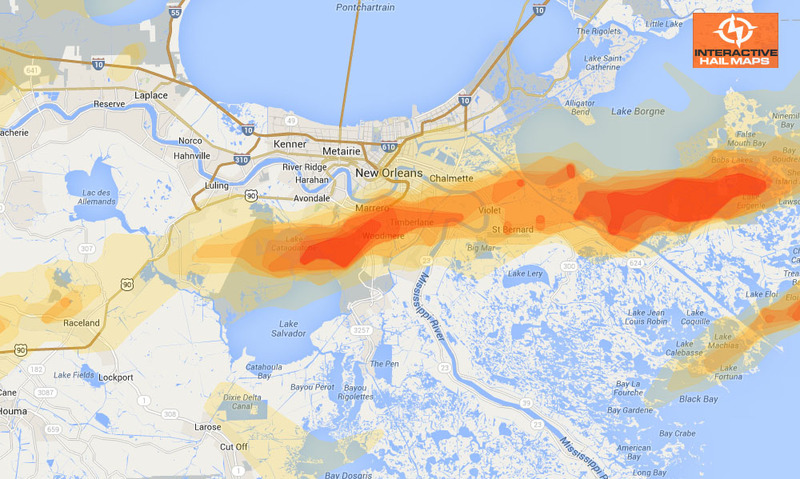 The large hail became more intense on the east side of the city as the hail heatmap shows. 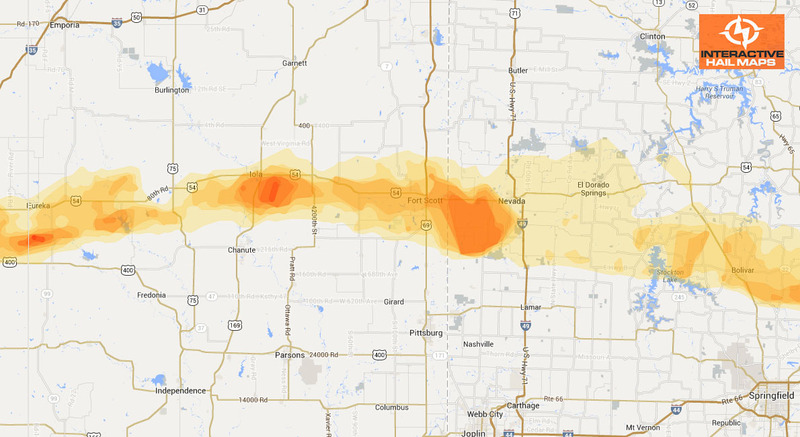 Use Interactive Hail Maps to see today’s hail map free and take a test drive with April 28, 2012.